Recent coverage in publications such as Fortune might alert a broader base of consumers to the existence of the Comprehensive Loss Underwriting Exchange database from LexisNexis, which offers the claims history of millions of Americans to insurers considering their rates. Such coverage draws mainly on the work of InsuranceQuotes.com, which found recently that 18 percent of consumers had never even heard of CLUE. Though InsuranceQuotes did the work, the more widely read coverage by other media could mean greater awareness of CLUE and the claims process itself. Greater understanding of how claims are treated and collected could prompt customers to avoid them. This could mean less work on vehicles. 75 percent of millenials (18-29) viewed raising auto or home rates after talking to an insurer (without actually making a claim) as unfair, compared to 85 percent in the 30-49 range and 89 percent in the 65-plus bracket. Consumers tend to know that filing an actual claim can raise your premiums, but they might not know by how much. 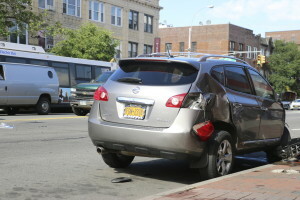 One auto claim can increase rates by an average of 38 percent, InsuranceQuotes found in 2013. And for homeowners, it’s not just your claims history that can factor into your premium.The previous homeowner’s history could also affect your premium. Like a credit score, you can get one free copy of your CLUE details a year and dispute anything on it with LexisNexis Risk Solutions. Find out how here.